CHICAGO – If you are lucky enough to have the 50th Anniversary edition of “A Hard Day’s Night” playing in your area, drop everything and go see it, especially if you’ve never seen it before. The Beatles – John Lennon, Paul McCartney, George Harrison and Ringo Starr – are ageless and timeless in a new print restoration and sound remastering of their 1964 debut film. 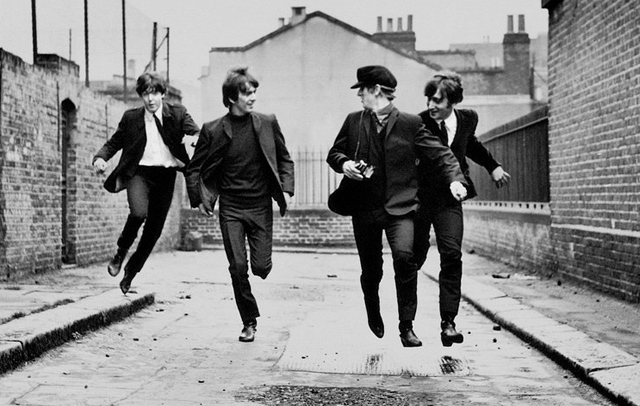 The film follows a typical day for the lads from Liverpool – The Beatles. After avoiding a hysterical mob of screaming fans, John (John Lennon), Paul (Paul McCartney), George (George Harrison) and Ringo (Ringo Starr) take a train to their next destination, a TV appearance in London. Their antics exasperate their manager and roadie, Norm (Norman Rossington) and Shake (John Junkin). To make matters worse, Paul’s grandfather Jim (Wilfred Brambell) is along for the ride, and he cooks up various schemes so he can live the high life. During rehearsals for the TV show, he forges their autographs, to sell the photos to the masses. The Beatles themselves just want to get away it from it all, and Ringo succeeds in running away from the show, which freaks out the director (Vincent Spinetti). Paul’s grandfather is arrested for selling the pictures, Ringo is arrested as a vagrant, and the rest the boys have to spring them just in time for the big show. The comedy in the film is hysterical, part satire and part silliness. That would be good enough for most, but the soundtrack – remastered by Giles Martin, the son of original producer George Martin – is simply spectacular. From the opening chord of the title song, to the bright “I Should Have Known Better,” the sublime “If I Fell,” the happy “Can’t Buy Me Love” and the romantic “And I Love Her,” among all the others, it is possibly the best soundtrack of any rock musical. The devil was in the details for the success of “A Hard Days Night,” and director Richard Lester – who had made his reputation as the auteur of the Academy Award nominated short, “The Running Jumping & Standing Still Film” – used a radical cinéma vérité style to capture the story, giving it an energy that hadn’t been seen in that type of film. 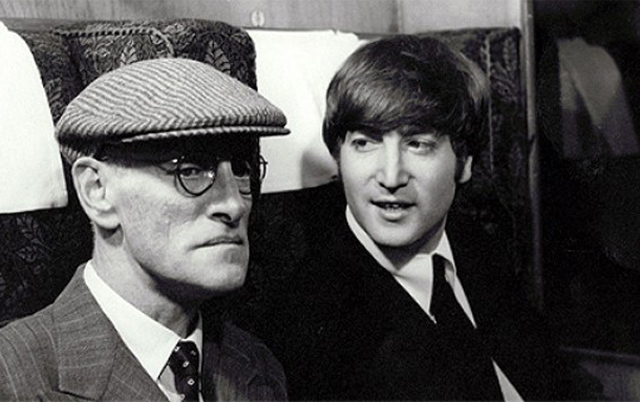 Wilfred Brambell, Paul’s grandfather, was already a TV star in Britain, and contributes the necessary absurdity in contrast to the new young actors. It’s a bit strange to experience the film today, considering what subsequently happened to John, Paul, George and Ringo separately. It’s a sad reminder that John and George are no longer with us, and their performances are focused on a bit more because of that fact. John, for example, seems like a ghost hovering over the proceedings, and of course is the subject of the classic final line. George is perfect in his key scene, and Ringo liked doing the film so much he had a pretty good career as an actor afterward. Paul is asked to do some heavy lifting as his grandfather’s keeper, and actually has most of the weird emotions associated with it, including threatening their management team with physical violence. I hope he still enjoys the film. As a second generation Beatles admirer, I saw the film during its 1982 release – on which the producers stuck a prologue that Richard Lester hadn’t approved – and at the 20th, 25th, 30th, 35th, 40th, etc. anniversaries. “A Hard Day’s Night” never gets old, only I do. In fact, after the current screening, so magnificent, I thought to myself, “youth is fleeting!” – but great movies stay the same forever, and this film was part of the evolution revolution. The 50th Anniversary edition of “A Hard Day’s Night” has a limited release, including Chicago, on July 4th. See local listings for theaters and show times. Featuring John Lennon, Paul McCartney, George Harrison, Ringo Starr, Wilfred Brambell, Norman Rossington, John Junkin and Victor Spinetti. Screenplay by Alun Owen. Directed by Richard Lester. Not Rated.